Disney has canceled the Night of Joy event for Saturday September 9th. Friday night’s show at ESPN Wide World of Sport will continue as planned. Disney has stated that guests with tickets for Saturday can attend Friday’s event instead by exchanging their ticket at the ESPN Wide World of Sports Box Office starting at 4 PM Friday. Mickey’s Not So Scary Halloween Party has been cancelled for this weekend. The ticketed event that was planned for Sunday September 10th will no longer take place. Tonights party, September 7, will go ahead as scheduled. Disney will be closing its Vero Beach Resort on the east coast of Florida. The closure will begin at 2pm on Friday September 8th. Disney’s Fort Wilderness Resort & Campground will begin closing on Saturday afternoon, September 9th. In addition, Hoop-Dee-Doo Revue and Mickey’s Backyard BBQ will be canceled on September 9th, 10th and 11th. The next generation of Night of Joy at ESPN Wide World of Sports Complex is just about a month away. With an amazing lineup featuring eighteen great artists in Contemporary Christian Music – you’ll want to make plans to attend! Below is the lineup for each evening. And since Night of Joy is taking place at ESPN Wide World of Sports Complex, Disney isadding more spirit with “Fields of Joy.” Come on down to Disey’s premier sports fields and play a fast-paced game of 4v4 soccer. Kick a field goal. Clock your pitching arm. Showcase your free throw skills and many other sports challenges. With all that activity, you’ll want to test your taste buds with a variety of food trucks to satisfy any big league appetite. The Fields of Joy offers a great opportunity for families, friends, groups or even strangers to simply have fun, laugh and share in some fellowship. 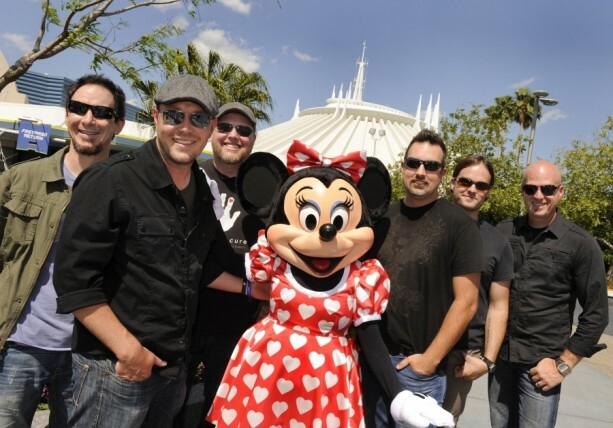 In addition to more music and more spirit, Disney is infusing more fun by adding Christian Comedians to the line-up for both nights and introducing FanFest at Jostens Center. FanFest will include a fun, interactive area that includes video games, 60 second challenges, Imagination Playground and oversized versions of popular games such as foosball, connect four and chess. All these activities and, for the first time at Night of Joy, exclusive merchandise from many of the Night of Joy artists appearing each night will be available in the Jostens Center. To top it all off, Mickey Mouse and Minnie Mouse, along with some of their friends, will be there to meet their fans from 5:00-11:00 p.m. each night. Do you still want more? Exclusively offered for Saturday night only, FanFest will include a special opportunity for guests to participate in multiple question and answers sessions with some of the top artists appearing at Night of Joy this weekend. These stars may also be available for photo opportunities and, who knows, they may even wander over to play some games. If you missed it, both nights of this year’s Disney’s Night of Joy are sold out at Magic Kingdom Park. However, if you didn’t get a chance to grab a ticket, there’s still a way to enjoy the performances. Blue Scout Media will be webcasting the event live from Magic Kingdom Park. You can see the Night of Joy live stream by visiting http://stagehop.com/nightofjoy. The event begins at 7:30 p.m. ET on Friday, September 11 and at the same time on Saturday, September 12. Also, you can purchase a Digital Pass at the in-park Night of Joy merchandise locations or online at Stagehop.com to enjoy select encore performances from the event. Here’s another look at this year’s schedule. Tickets for Night of Joy, Mickey’s Not So Scary Halloween Party and Mickey’s Very Merry Christmas Party Go on Sale TODAY! A few weeks ago, Disney released the dates for 2015’s Mickey’s Not-So-Scary Halloween Party and Mickey’s Very Merry Christmas Party. Well, if you just can’t wait to purchase tickets for your favorite Magic Kingdom Park special event, today is your lucky day. 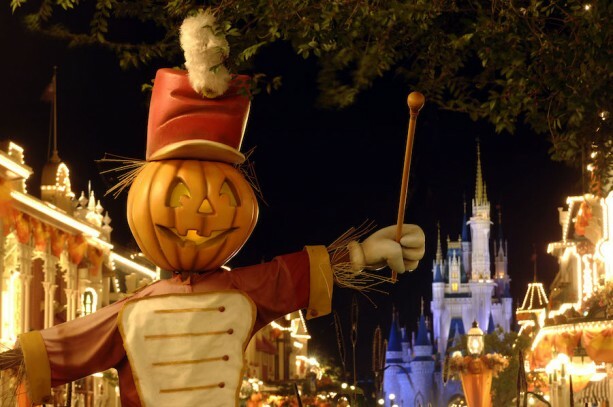 This year, Disney is planning a thrilling new show for Mickey’s Not-So-Scary Halloween Party. Some of your favorite Disney villains, along with a few new friends, are getting ready to cast a spell on you at the Castle Forecourt Stage. We’ll have more details for you soon about this wickedly delightful addition to the Halloween festivities at Magic Kingdom Park. Tickets for all three events are on sale starting today. You’ll want to buy your tickets as early as possible because dates sell out. Single-day ticket prices for Disney’s Night of Joy (September 11-12) are $65 (plus tax) in advance and $80 (plus tax) on the day of the event (if available). A two night ticket also is available for $115 (plus tax) in advance of the event. Group tickets are also available by calling 877-NITE-JOY (1-877-648-3569). To order tickets or find out more information on any of our Magic Kingdom Park special events, guests can check out Disneyworld.com, call 407-W-DISNEY or contact their travel agent. Author RayPosted on April 8, 2015 Categories Walt Disney WorldTags Magic Kingdom, Mickey's Not So Scary Halloween Party, Mickey's Very Merry Christmas Party, Night of Joy, Walt Disney WorldLeave a comment on Tickets for Night of Joy, Mickey’s Not So Scary Halloween Party and Mickey’s Very Merry Christmas Party Go on Sale TODAY!